It’s a double whammy of good news for fans of AnOther Magazine and AnOther Man, today. AnOther Magazine unleashes its 12-year digital archive on Apple’s Newsstand, while AnOther Man unveils its app for iOS and Android for the very first time. Another Man was launched in 2005, to cater to an expanding menswear market and an appetite for intelligent male-oriented cultural commentary. Essays and interviews with figures like JG Ballard and Tom Waits, alongside pioneering fashion make it the first magazine for men to combine intellectual and sartorial creativity so seamlessly. Today marks the release of AnOther Man’s app in the iOS App Store. Subscribers will be able to access all 15 issues at the touch of a button. The latest issue features Arctic Monkeys frontman Alex Turner. Inside, the rock icon discusses keeping his Yorkshire edge in Tinseltown, how he writes a hit song and why he prefers a tough crowd. Meanwhile, AnOther Magazine introduces its complete digital archive. Launched in 2001, AnOther Magazine has been a beacon of stylistic brilliance for over a decade. Its blend of avant-garde fashion photography and trailblazing editorial quickly identified it as a force to be reckoned with. Nicole Kidman, Jodie Foster, Natalie Portman and Tilda Swinton have all graced its iconic covers. 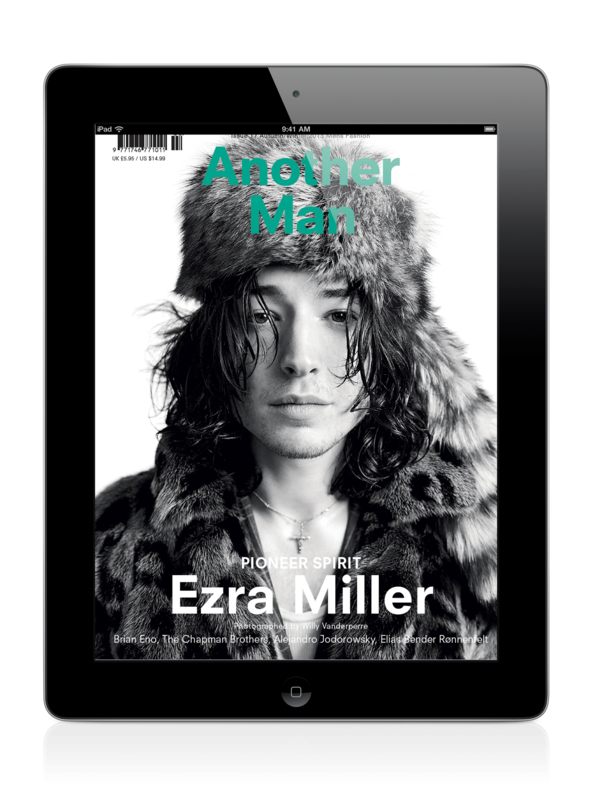 All 26 issues of AnOther Magazine are now available for syncing, sharing and searching on the iPad, iPhone or on Android. Say, for example, you wanted to trace the many manifestations of Kate Moss, over the years. A simple search will reveal every model mention throughout the magazine’s history, from demure and sultry in 2004 to fierce and feisty in 2011.